Historically, the fields of exchange-rate economics and microstructure finance have progressed independently of each other. Recent interaction, however, has given rise to a microstructure approach to exchange rates. This book focuses on the economics of financial information and how microstructure tools help to clarify the types of information most relevant to exchange rates. 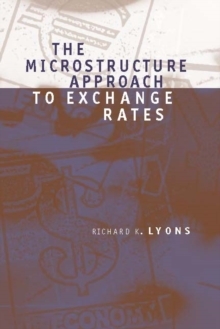 The microstructure approach views exchange rates from the perspective of the trading room, the place where exchange rates are actually determined. Emphasizing information economics over institutional issues, the approach departs from three unrealistic assumptions common to previous approaches: that all information relevant to exchange rates is publicly available, that all market participants are alike in their goals or in how they view information, and that how trading is organized is inconsequential for exchange rates. 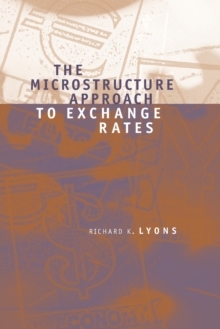 The book shows how exchange-rate behavior previously thought to be particularly puzzling can be explained using the microstructure approach. It contains a combination of theoretical and empirical work.